BOSTON — Friday was media day at the 2019 Boston Marathon, and we did our best to talk to as many athletes and agents as possible ahead of the big race on Monday. We present our findings below, including interviews with American stars Des Linden, Jordan Hasay, Jared Ward, Shadrack Biwott, Sally Kipyego, and more. 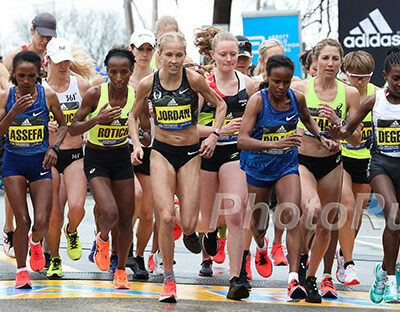 This will be Linden’s seventh Boston Marathon, but until last year, she was merely a footnote in the 123-year history of the race, known for coming two seconds away from winning the 2011 race. 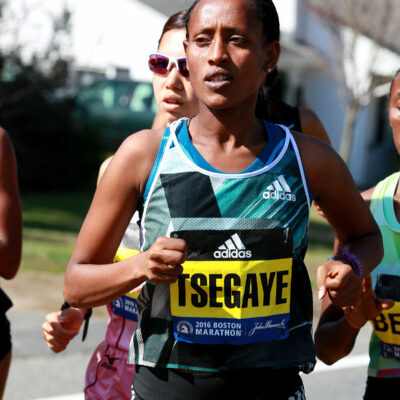 Thanks to her win last year, she’s forever a part of Boston Marathon history, and we imagine we’ll be seeing her in Boston in April for years to come, as Boston treats its former champions very well. But Linden isn’t a former champion just yet — she has the title for three more days, and can renew her lease with a victory on Monday. That will be a tough ask, but we actually think Linden’s chances are better in 2019 than they were in 2018. American rivals Shalane Flanagan nor Molly Huddle will not be returning in 2019, and most of the contenders in the women’s field are accompanied by question marks. Linden’s agent Josh Cox told us that she’s definitely fitter than she was this time a year ago. And even though Boston doesn’t always come down to which athlete is the fittest, that is a very good sign. Hasay believes that she’s in the same kind of shape she was in Boston two years ago, when she finished third in an American debut record 2:23:00. She admitted that while her tuneup race — 71:06 at the Rome-Ostia Half Marathon on March 10 — was not as fast as she wanted, her long runs have been better than ever. In fact, Hasay said that the only thing she can’t do as well as 2017 — before she was felled by a pair of stress fractures in her foot — is run really, really fast. Her 200-meter repeats, which she runs in practice to help improve her running form and efficiency, are now usually run in 32 seconds as opposed to 31.5. 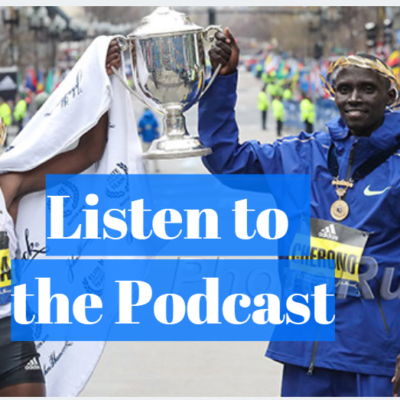 We spoke to Ward and Biwott, two of the US’s top marathoners, and they were both excited and feeling ready to go on Monday. The lack of Americans (not named Galen Rupp) under 2:10 has been a hot topic of discussion, but both Ward and Biwott believe there are guys out there with the talent — they just haven’t gotten the opportunity yet. 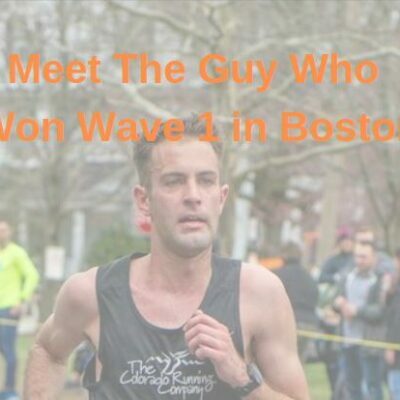 Biwott finished 4th and 3rd in Boston the last two years, and while Biwott only ran 2:12 and 2:18 in those races, Ward pointed out that 3rd and 4th place in Boston could run 2:07 if there’s a big tailwind. Ward and Biwott were excited to talk about the weather forecast, which now is looking better. Eggleston ran 2:10:52 in 2014 but hasn’t run under 2:14 since. He said mainly because he hasn’t been in the right race since. He says he’s fit for Boston this year. Kipyego finished her first marathon in November 2016, running 2:28:01 to take second in New York. Since then, she’s only run two races: 34:32 for 10th at the B.A.A. 10K last summer, and 72:12 for 13th at the Houston Half Marathon in January. Kipyego said that it’s been a long road back from giving birth to her daughter Emma in July 2017. She took the rest of that season off to recover, and even when she got back to training in 2018, her body never felt quite right; ultimately, illness caused her to withdraw from the NYC Marathon last fall. Kipyego, who spent this buildup in Eldoret, receiving workouts from her coach Mark Rowland, said that she still wasn’t feeling like herself at Houston this year, but that every week since then has been better than the one preceding it. She doesn’t have high expectations for Boston this weekend, hoping to just make it through the race, but believes that she will be dangerous at the Olympic Trials in 10 months’ time. When we asked Kipyego if she could get back to the level she was at in 2016, where she beat out Molly Huddle for second in New York, she quickly interjected. Desisa was our #1 pick to win this year and he said all systems are ready to win again in Boston. He says his training is better than when he ran 2:05 to win New York last year. Speaking of former NCAA cross country champions, Betsy Saina will also run her first Boston on Monday. So far, she’s started four marathons under three coaches: she was with Jerry Schumacher for her debut in Tokyo in 2017 (DNF), Patrick Sang for marathon #2 in New York in 2017 (DNF), before switching to Renato Canova for marathons #3 and #4 (2:22 win in Paris, 2:24 for 8th in Frankfurt last year). Saina, who is based in Iten also worked with Scott Simmons coming out of college at Iowa State, said she believes that Canova is the man to guide her going forward as she likes that she’s able to meet with him multiple times per week for in-person feedback. 42-year-old Abdi Abdirahman had a great 2017 as a 40-year-old, but last year did not go as well. Abdi said he’s still training well and he is focused on making the 2020 Olympic team (if he did, he would have the most Olympic teams for a US distance runner — five). Abdi did much of his buildup with Mo Farah in Ethiopia but recently was in Flagstaff, where Ryan Hall served as his pacer on a bike for a 12-miler that Abdi said was very fast. Kirui last year was on his way to repeating as the champ before he cratered in the terrible weather and Yuki Kawauchi blew by him late in the race. Kirui said his training has gone well this year. The defending world champ he said his focus on 2019 is defending his world title, even though Worlds this year will be in a hot Doha at midnight. 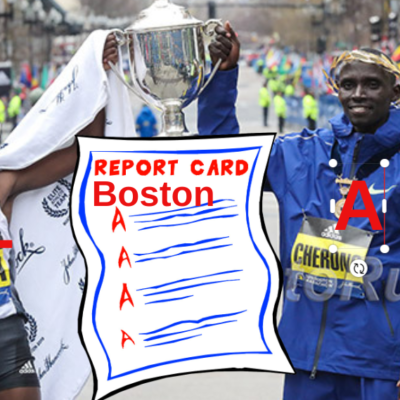 Geoffrey Kirui isn’t afraid to wear his jacket again. We (Weldon and Jon) spoke to Kirui separately and in the second delightful talk with Kirui, he said to Jon that he learned from last year that he has to be more patient, but he doesn’t totally regret his hard move up the Newton Hills — he said that the reason he made the move was not out of strategy, but rather out of the hope that raising the tempo would warm him up. (It didn’t work — “it was very terrible,” Kirui lamented). We also asked him about his clothing choice on Monday. Last year, Kirui’s white NN Running jacket became a meme after the wind inflated it like a sail. But Kirui says that he is prepared to wear the same jacket again in 2019 if conditions are really bad. Until two weeks ago, Yuki Kawauchi had to buy his own training shoes — and borrow his racing flats. Kawauchi famously won Boston as an amateur last year — he only turned pro on April 1 of this year, inking a sponsorship contract with Asics. Interestingly, Kawauchi’s interpreter/agent Brett Larner revealed that that decision was not motivated by Kawauchi’s Boston Marathon victory. 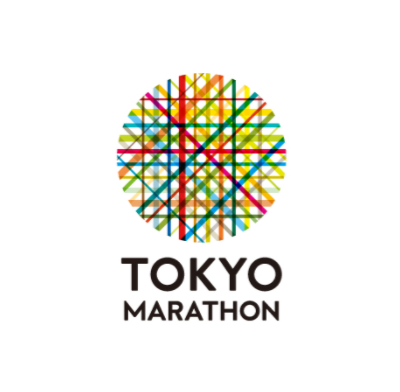 Kawauchi worked a government job at a school near Tokyo, and the hours (1 p.m. – 9 p.m.) allowed him the flexibility to train in the morning before work. But Kawauchi’s five-year contract recently came to an end, and if he were to re-sign for another five years, it would have required rotating to a position where Kawauchi would work a traditional 9 a.m. – 5 p.m. schedule. He did not want to do that, so as far back as the fall of 2017 (when Kawauchi knew about the change in hours), he had his eyes on turning pro. Now that he’s a pro, Kawauchi can get all the gear he wants, but back when he was working for the government, there were rules in place as to what he could accept. Flights/accommodation/prize money? Yes. Appearance fees/shoe contracts? No. Shoes themselves? Well that was kind of a gray area. Larner said Kawauchi would buy his training shoes, but he would “borrow” his racing shoes from Asics, returning them after he was done. So technically, Kawauchi won the 2018 Boston Marathon in a borrowed pair of shoes.